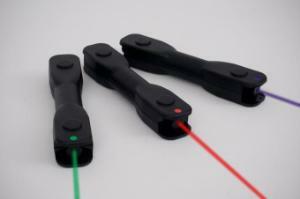 A set of three 5mW LASER Blox™ has more versatility and flexibility than three laser pointers could ever have. This versatile and economical combination allows you to magnetically stack the 3 LASER Blox™, so you and your students can construct a laser ray box to easily study geometric ray optics. 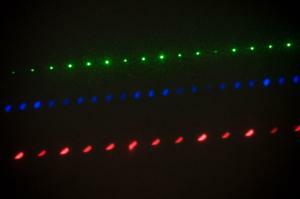 Shine three beams through various lenses and mediums to easily view and measure focal length and then separate them so each student can use a single LASER Blox™ for another activity. 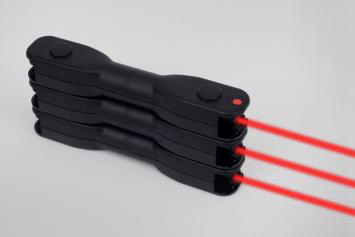 Three bright LASER Blox™ allow for maximum visibility and versatility in teaching and learning about light, lasers and optics. Use each laser separately, either as a point source or with the line generator, or stack all three to create a fantastically simple way to teach and learn about geometric optics with a ray box. 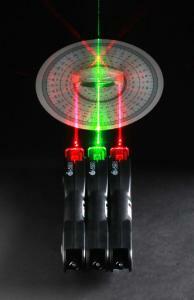 Mounted to the white board, you can easily conduct hands free laser demonstrations in front of the whole class. Available in a set of three green, three red or a mix of red, blue and green. Comes with a durable snap foam case, AAA Batteries and a line generating lens for each LASER Blox™. 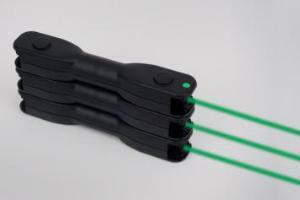 Each LASER Blox is 17 cm X 3 cm X 2.4 cm. 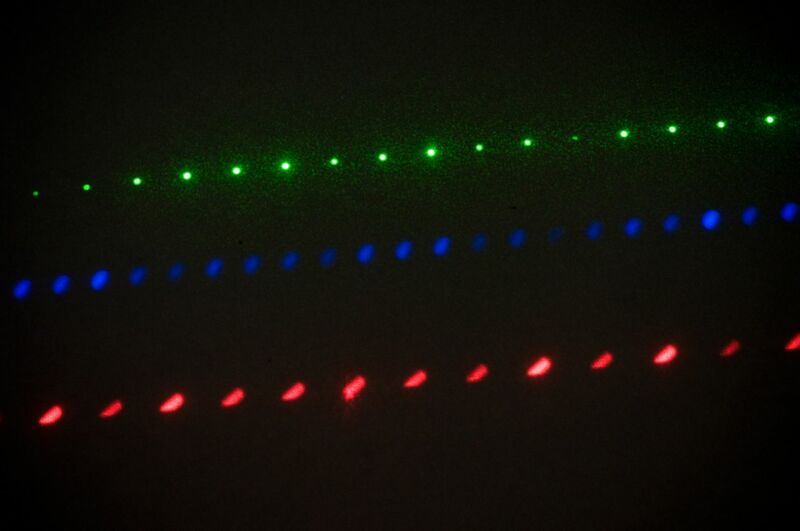 The Red LASER blox is 635 nm and the Green is 532 nm.